Although the first Cat Show to be held in France is said to have dated from 1896, it was not until 1913, that Dr V. Ph. Jumaud formed the Cat Club de France, after having organised two successful exhibitions in Nice and Cannes respectively in 1912 and 1913. With the establishment of the Cat Club de France as a National umbrella body,(Federation des Societes Feline de France), regional clubs were formed which were duly affiliated, and among these were: the Cat Club de Paris, the Cat Club d'Aquitane, the Cat Club du Dauphine, the Cat Club du Nord, the Cat Club de Champagne, the Cat Club du Limousin, the Cat Club de Picardie, the Cat Club de Bretagne, the Cat Club d'Alsace, the Cat Club de la Riviera, Amis du Chat de Lyon, and the Societe Feline de Picardie, etc. In 1924, the Cat Club de Paris, became independent, and established its own proper Stud Book and Register, the "Livres de Origines". The inevitable split with the Cat Club de France, came in 1933 with the Cat Club de Paris, the Cat Club de Champagne, and the Societe Central Feline, coming together to form the Federation Feline Francais (French Feline Federation), in 1934. Their independent 'books of origin'or stud books were rolled into one and the responsibility for maintaining them then fell to the Cat Club de Paris. 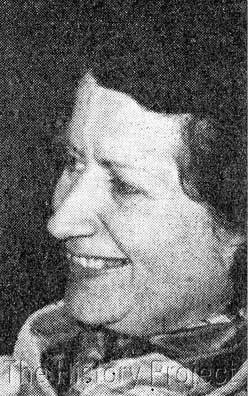 Madame Marguerite Ravel presided over the affairs of the Cat Club de Paris for many years, holding the position of General Secretary during the war years between 1935 and 1945. In 1946, she was instrumental in organizing the first French post-war cat show, a considerable feat considering the existing post-war conditions. The show was duly acclaimed as a triumph. One of the dreams of Madame Ravel, was to see the establishment of a united European-based Federation, and in 1949, this dream was finally realized at a meeting held in Paris, where the French Feline Federation, the Royal Cat Society of Flanders (Belgium), and the Italian Cat Society, jointly took the initiative to unofficially form the Federation Internationale Feline d'Europe, (FIFE), with Madame Ravel as its interim chairperson. Many years later, when this same body accepted membership from a non-European entity, a name change proved necessary, and the acronym was changed to FIFe, by dropping the last word in the original name. 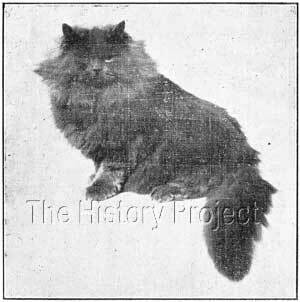 Mademoiselle Tzaut, was an active member of the Cat Club de Champagne and a well-known breeder of Blue Persians. Two of her blue persian cats feature in Dr V. Ph. Jumaud's famous work 'Les Races de Chats' published originally in 1925 and reprinted in 1930. 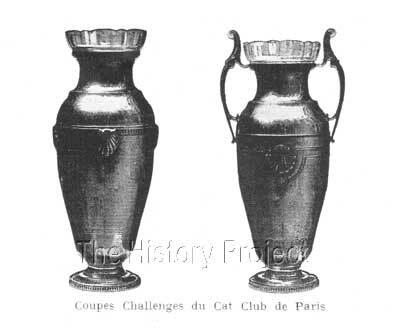 As can be seen from the illustration accompanying this article, the Cat Club de Paris, offered a variety of 'Challenge' Cups, for various primary wins at its shows. The two illustrated here , date from before 1925. 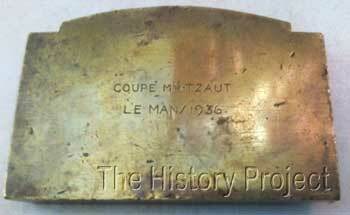 At some point in the clubs history, another Cup, the 'Mlle Tzaut Cup' was added, possibly for the highest scoring or winning Persian Cat in the Show. 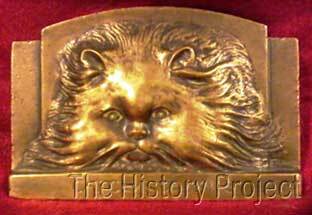 The unusual rectangular brass medallion, featuring a Persian cats head, was awarded as a record of winning this cup, in this case, at a Cat Club de Paris show, held in Le Mans, in 1936. 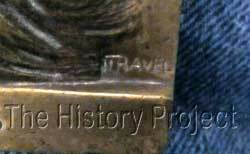 Of particular interest, is that the name of the designer of the medallion is to be found in the bottom right-hand corner, and is itself revealing, as 'T.Ravel'. Could this be a relative of Madame Marguerite Ravel? Certainly the head type on the Persian is an exceptional rendition for the year 1936 and would be representative of the pinnacle of achievement in Persian head type in that era. The medallion was purchased from France in 2015 by John Smithson, for inclusion in The Harrison Weir Collection.